England aren't the only English team who are to play in Russia this year - that's if they don't decide to boycott the World Cup. 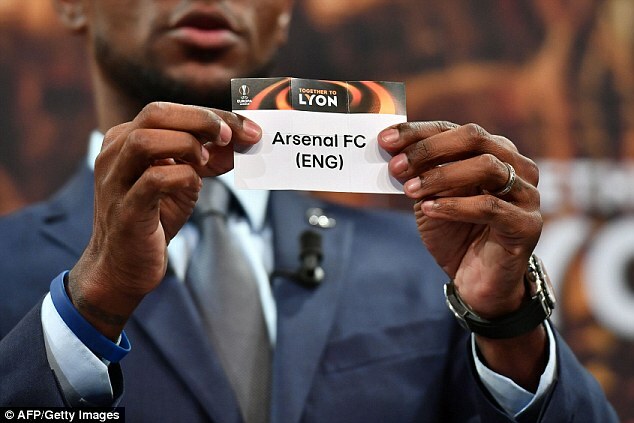 London giants Arsenal are to travel there on 12th April after they were yesterday drawn to play CSKA Moscow in the quarter finals of the Europa League. Arsenal face a daunting trip to the Russian capital after being drawn against CSKA Moscow in the Europa League quarter-final. The Gunners will be heavy favourites for the tie, but the draw could be problematic for travelling fans due to the ongoing political crisis between the two countries. 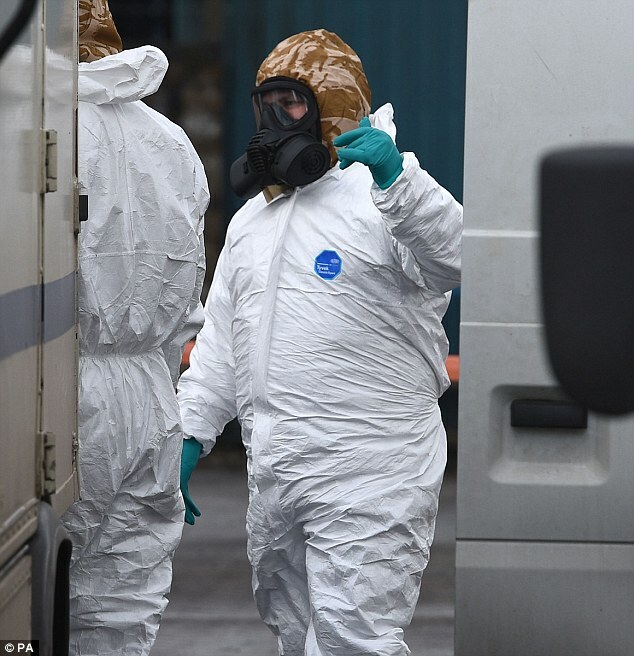 The hospitalisation of former Russian spy Sergei Skripal and his daughter after they were found seriously ill in Salisbury has since been blamed on Russia by Prime Minister Theresa May, escalating into an international incident in recent days. 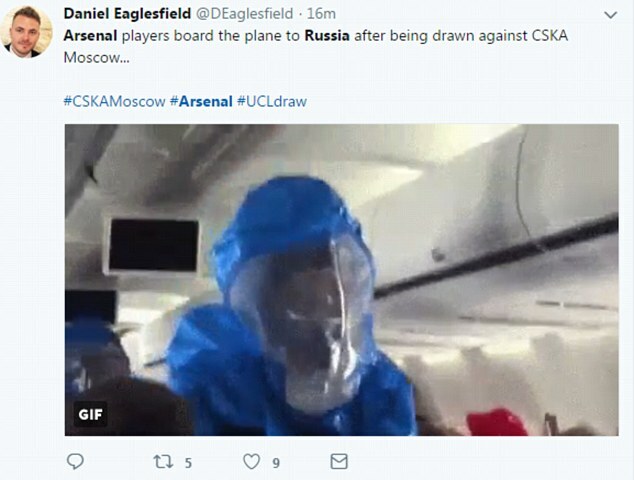 Yet fans on social media were able to see the funny side of the tricky away trip and posted pictures suggesting Arsenal players and supporters will need chemical suits to stay safe. 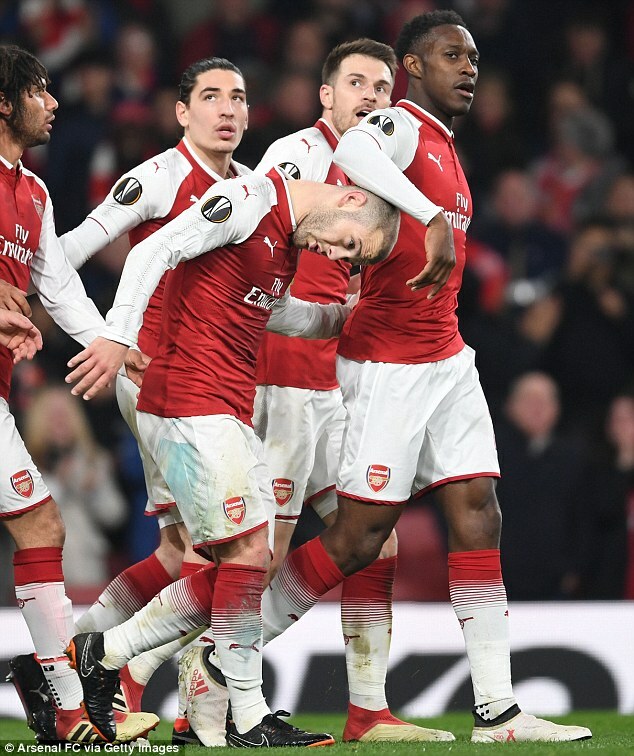 Arsenal will host the Russian outfit at the Emirates Stadium on Thursday April 5 before the return leg on April 12, but the game could come under an unwanted spotlight due to the ongoing political spat between the two countries. 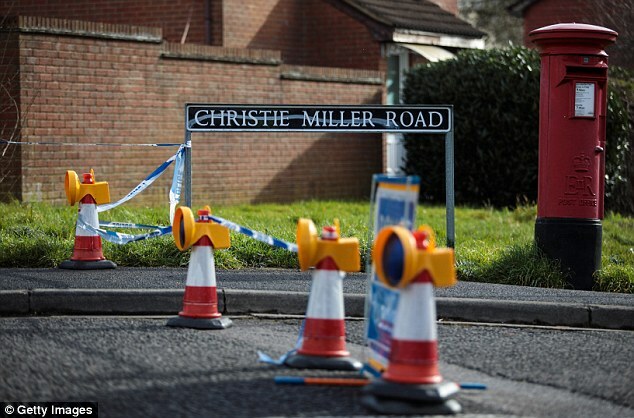 Theresa May has formally accused Russia of planning the attack on spy Sergei Skripal and his daughter Yulia with a nerve agent in Salisbury. She responded by expelling 23 of its diplomats, whom the UK accuse of acting as spies, and is discussing further sanctions. 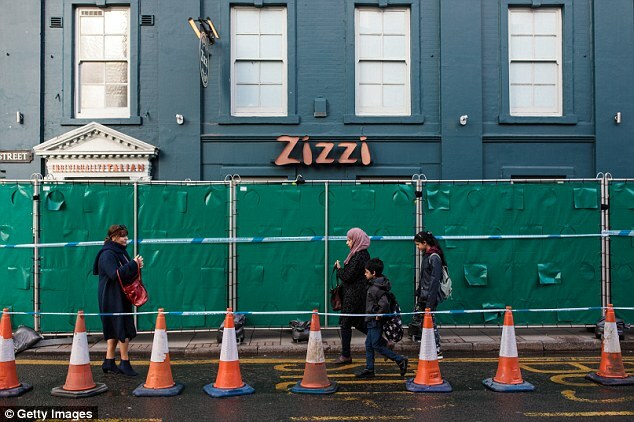 Russia's refusal to accept responsibility or offer an explanation as to how their Novichok nerve agent came to be used on British soil has heightened tensions to levels not seen since the Soviet era. The Football Association have already held high-level meetings over the possibility of withdrawing from this summer's World Cup as the safety of players and travelling fans becomes a concern. It has already been announced that royal dignitaries and diplomats will not attend. The Home Office does not currently advise against travel to Russia but says English tourists must be vigilant to the possibility of anti-British sentiment or harassment, and says to avoid commenting on the nerve attack in public. Due to heightened political tensions between the UK and Russia, you should be aware of the possibility of anti-British sentiment or harassment at this time. You’re advised to remain vigilant, avoid any protests or demonstrations and avoid commenting publically on political developments. While the British Embassy in Moscow is not aware of any increased difficulties for British people travelling in Russia at this time, you should follow the security and political situation closely and keep up to date with this travel advice. Coincidentally, the Emirates Stadium became embroiled in the last Russian attack on British soil after Andrei Lugovoi attended their Champions League tie against CSKA Moscow after allegedly slipping polonium in the tea of Alexander Litvinenko. 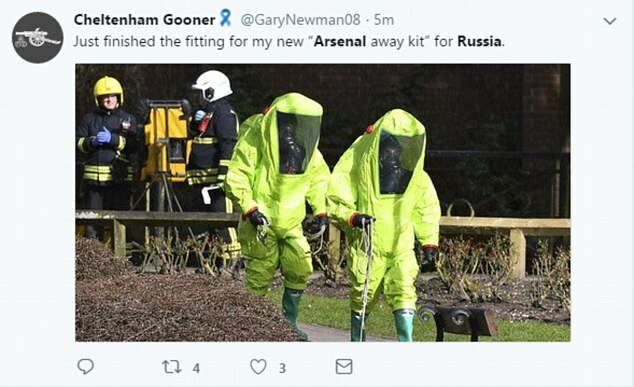 Traces of the radioactive material were later found at Arsenal's stadium. 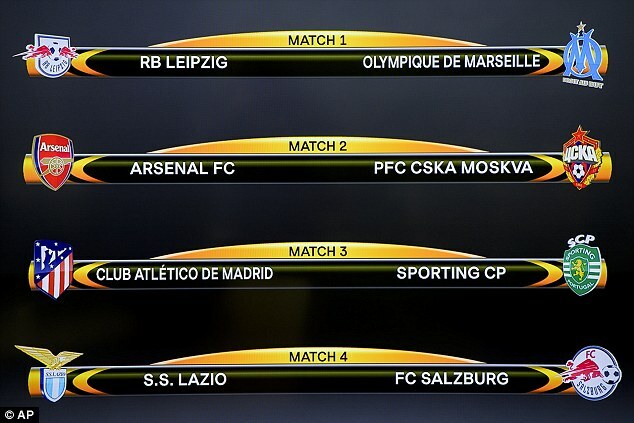 Elsewhere, Atletico Madrid will play Sporting Lisbon, RB Leipzig face Marseille and Rome club Lazio come up against Salzburg. 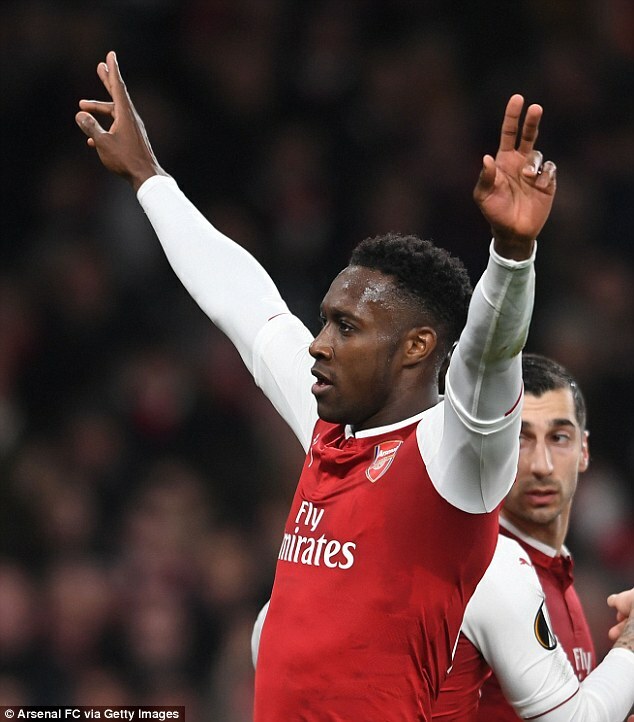 Arsenal breezed into the final eight with a 5-1 aggregate victory over AC Milan, which has helped to install them as one of the favourites to lift their first Europa League crown. CSKA Moscow had to rely on away goals to knock French side Lyon out. Atletico Madrid are, however, available at the shortest odds after scoring eight goals past Lokomotiv Moscow over two legs including a 5-1 drubbing in Russia on Thursday evening. Elsewhere, Borussia Dortmund were shocked by Austrian side Salzburg while Marseille came through a closely contested tie against Athletic Bilbao. RB Leipzig edged Zenit St Petersburg by a single goal on aggregate. Sporting Lisbon needed extra time to knock out plucky Viktoria Plzen and Lazio completed the quarter-final line up by beating Dynamo Kiev. Last edited by Blackleaf; Mar 17th, 2018 at 06:02 AM..
Now THAT'S funny. And effective. Putin hates to be mocked. 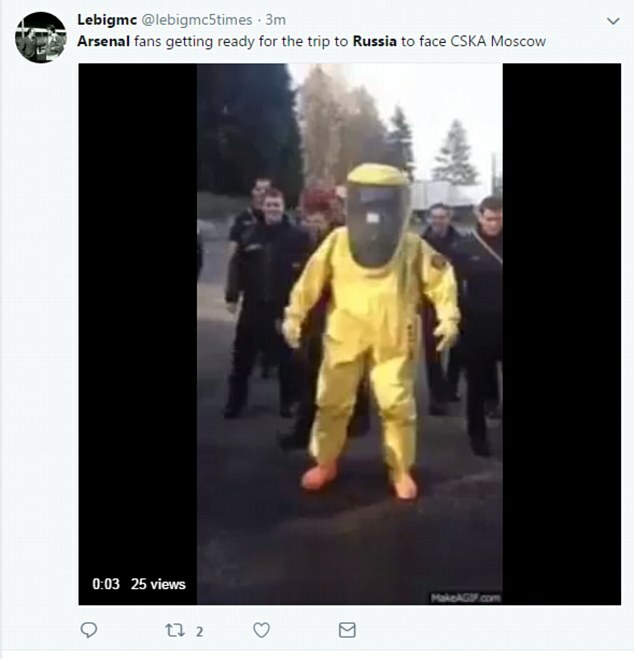 Fans should turn up for the World Cup dressed like that ... you'd get a free tour of the Siberian railroad system thrown in, to boot! I don't think Britain would take too kindly to some of its innocent citizens being thrown in a gulag.